Jesus isn’t repelled by our messiness. In fact, He has this irresponsible habit of throwing open the doors of love to messy people. He did it all the time. When the Pharisees and their scribes – also known as the tidy people – heard that Jesus was dining with tax collectors, they confronted the disciples and asked them, “Why do you eat and drink with tax collectors and sinners?” - (Luke 5:30). To the Pharisees, messy people included any Jew who didn’t keep the Law, ceremonial cleanliness, or moral precepts. These messy people had given up and weren’t even pretending to be tidy anymore. They were just living life. They were sinners and unclean, and the tidy people couldn’t figure out why Jesus, a rabbi, would hang out with messy people. Why were they so bothered by Jesus’ company? Pharisees define people by their sin. They label you with the name of your sin. Pharisees like to punish people for their sin. You can never do enough. Finally, Pharisees are blind to their own sin. They rely totally on selfrighteous acts. Put all that together and we’re looking at some tidy, difficult people. When the tidy Pharisees questioned Jesus’ disciples, it is Jesus who answers, “It is not the healthy who need a doctor, but the sick. I have not come to call the righteous, but sinners to repentance” (Luke 5:31-32). Jesus isn’t telling the Pharisees that they are righteous. He’s telling them they are so convinced of their selfrighteousness – so tidy and self-kept– that they have no need for Jesus. Jesus, in what ways do I carry with me selfrighteousness? Name them for me, Lord. Don’t let my ears be closed to Your gentle rebuke! As I acknowledge these parts of me and set them before You, I am undone by Your grace. You do not call me by the name of my illness, but You call me ”son” or “daughter.” It is good to be accepted. Amen. Are we living in the last of the last days? How are we to live as Christ’s return draws nearer? 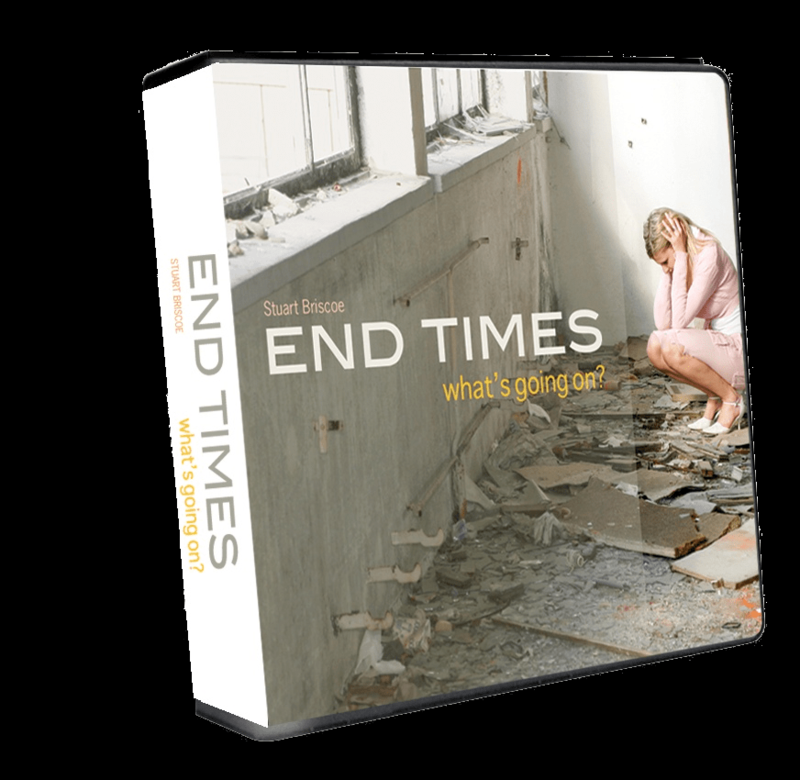 Stuart Briscoe takes you to the book of Revelation to show you the answers to questions like these in this insightful 8-message CD or DVD series.